Great men appear from time to time as if sent by God for the purpose of elevating humanity, Saint Thyagarajar was one such extraordinary personality born to teach humanity the path of salvation through Music and Ramabakthi. His contribution to the cultural growth in south India is unique. He was a practical philosopher and dedicated his entire life to the practice of NADOPASA. He had composed several Kritis in various raghas. Saint Thyagarajar was born in Tiruvarur in the Thanjavur District on 27th Chaitra, Srvajit, a Sukla Saptami corresponding to 4th May, 1767 according to one tradition and 1759 according to another tradition and named after the presiding deity (Lord Thyagaraja) of that temple town. The name THYAGA-RAJA means the 'Prince of Renunciation'. Thyagarajar was born as the third son of Ramabrahmam whose family profession was story telling (Katha Kalashepem) and a distinguished exponent of Ramayana who was patronised by the King of Thanjavur. His mother was Seethamma, the daughter of the asthana vidwan Veena Kalahastayya. The bulwark of a great culture, the Vijayanagara Empire fell at the end of the 16th Century. The invasion from the North brought in its wake. Quite a few Hindu families had to flee to southern areas which were still peaceful. Many found shelter under the benign rule of the Nayakas and the Maratha Kings of Tamilnadu. Particularly, a number of Telugu families went to South and formed nuclei of art and culture and Thyagaraja’s ancestors belonged to one such stock, as he describes himself as descending from a family of immigrant Vaidiga Brahmins of the Muriginadu sect belonging to Kakarla family (Kakarla is a village in the Kurnool District of Andhra). They moved to Tamil Nadu Country during the Vijayanagar period in early 1600’s. Very soon after the birth of the saint, the family shifted to Thiruvaiyaru. The king of Tanjavur had gifted a house to him in this village and here Thyagaraja not only spent the major part of his life but also attained samadhi. Saint Thyagarajar completed the study of Sanskrit and Telugu and mastered Valmiki Ramayanam and other religious literatures. His mother had a collection of the Purandaradasa and taught them to her son. He was thus introduced to the Sangita Pitamaha at a very early age and worishipped him as his adiguru. His precocity in music could not escape the notice of his father who put him under the tutelage of the court musician Sonti Venkataramanayya at the age of 16. Thyagaraja absorbed all that the guru could teach him within a year. After that he was on his own, perfecting his technique by immersing himself in the study of musicology from various treatises. Since from the age of 17, he started singing small kritis. He also showed a flair for composing music and while in his teens composed his first song Namo Namo Raghavaya in Desikatodi and inscribed it on the walls of the house. He studied NARADIAM a treatise on music which he got from his grand father, Giri Raja Kavi. In 1784, when he was 18 years, he married Parvathi. In 1785 at the royal court of Pudukottai Ramachandira Thontaiman, Thyagaraja had sung in Jothiswararupeni raga. In 1787, when Thyagaraja was 21 his father Ramabrahmam passed away. In 1787 at his age of 21, he got spiritual initiation into "Rama Shadakshari" mantra from a saint called Ramakrishnananda. In 1789, when he was 23 years old, his wife, Parvathi passed away. He married her sister Kamala in 1790. He had a daughter called Seethalakshmi. In 1802, his guru, Sonti Venkataramanayya arranged for his arangetram where the vidwands of the palace were assembled. Thyagaraja sang his own composition, Dorakuna ituvanti in Bilahari. The song starts by asking, 'It is possible to get darshan of Hari?'. At the end of the recital his guru, overwhelmed with emotion at his shishya’s performance. Thayagara’s fame as a composer of music was spreading fast. On hearing about him, King Sarabhoji II invited Thyagaraja to the palace to sing before him and also offered him the position of samasthana vidwan at the durbar. But Thyagaraja, who was very clear about his mission in life, refused and declined the offer. Thyagaraja's reputation as an outstanding musician and composer was due to his desire to compose only to serve Rama and not any human being. In the presence of leading musicians he was asked to sing at Thiruvaiyaru and Thanjavur on two occasions. His mudra is 'Thyagaraja'. In 1804 at his age of 37, his mother, Seethamma passed way. Thyagaraja was constantly repeating the Rama Shadakshari mantra over 21 years and he completed in 1808 chanting 96 crores of Rama Nama. In 1810, Thyagaraja’s daughter seethalakshmi was given in marriage to Kuppuswami. 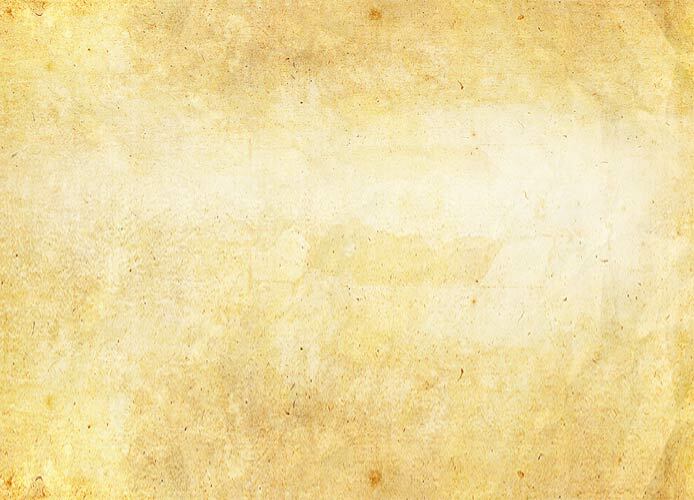 Thyagaraja's disciple Walajapettai Vekataramana Bhaagavatar brought a painting of Kothandarama, walking all the way from Walajapettai to Thiruvaiyaru and offered it to his guru. Seethalakshmi and Kuppuswami begot a boy who was named Thyagaraja who died issueless; thus came to an end the direct lineage of the composer. In 1827, at the age 60, he celebrated Sastiaptha Purthi. In 1839 during the month of April, he visited Tirupati, but when he went to the temple, it was closed. In sadness, he sang "Teratiyagaraadaa" and the temple officials gathered round in admiration when they saw the door opening by itself and the screen falling aside. He sang "VenkaTEsha ninu sEvimpa" in his happiness at seeing the Lord. While returning to Thiruvaiyaru, he visited Chennai-Kovur, where he composed Kovur Pancharatna during his stay with Kovur Sundara Mudaliar. Later he composed Thiruvetriyur Pancharatna while he was staying with Veena Kuppier. At the invitation of his disciple LaalguDi Raamayya, he composed the Laalgudi Pancharatna. He also composed the Shreeranga Pancharatna in praise of Ranganaata of Shreerangam and 5 kritis in praise of Sage Naarada. On completion of this spiritual tour he reached Thiruvaiyaru at the end of October, 1839. In 1841, Gopalakrishna Bharathi visited Thyagaraja at his residence in Thiruvaiyaru. The Ghana Pancharatina Kriti, 'Endaro mahanubhavulu..' was composed when Chatkalam Govindamaarar visited him in 1843. It was said that Lord Rama appeared before him on 27-12-1846 in his dream and offered him Motsa after 10 days. Next day he revealed this to his disciples and relatives during 'Egadesi Bhajanai'. Accordingly everyone believed that 6-1-1847 would be the day when he was excepted to become Mukdhi. The Saint took to Sanyasa on 5-1-1847 when he felt the premonition of his approaching end to his mortal life and called himself Nadha Premmananther. He attained Siddhi on the Pushya Bahula Panchami day in the year Parabhava 1847 A.D. (6-1-1847). His mortal remains were interred at a spot on the left bank of the river Cauvery at Thiruvaiyaru with the honor and religious rites due to a Sanyasi. A brindavan consisting of a conventional brick structure and Thulasi plant was put up. Saint Thyagaraja is stated to have composed several Kritis. Two plays of him of Yakshagana type are available now. He had employed over 200 raghas. The Pancharatna Kritis are the most representative of Saint Thyagaraja's art as a composer. 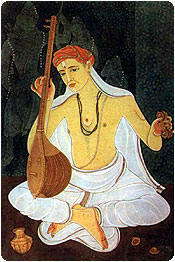 The Divyanama and Utsava Samprathaya Kritis composed by him are melodies. Though an ardent Ramabakthi he was, Saint Thyagaraja had also sung in praise of other deities as well. To him music was Nadopasana. The vanity of wealth or the pomp of power never tempted him.